At this festival we will explore gender – the performance and expression of gender and the role gender plays in shaping our identity and the way others perceive us. We will do this by drawing on authentic testimony and real life stories. Testimony from and interviews with members of the Singapore community. 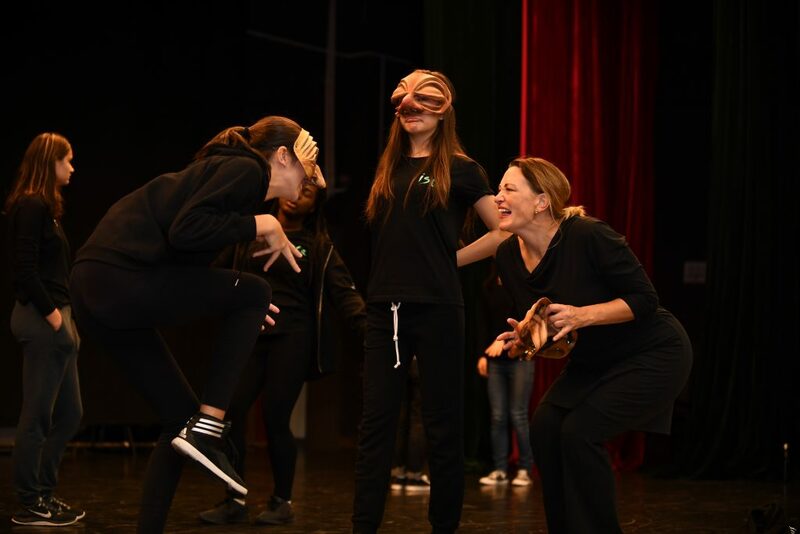 Their lived experiences will provide starting points from which to explore the possibilities offered by combining verbatim with a range of different theatrical styles and forms. The festival starts at 9:00am on Friday 1st March 2019 and finishes at 5:00pm on Sunday 3rd March 2019. Registration opens 4th January 2019. Registration closes 18th January 2019. We advise that you have your group confirmed and all information collected prior to 4th January 2019. Overseas schools will need to plan to be at Dulwich by 5:00pm on Thursday 28th February. Local schools will attend from Friday morning onwards. ISTA artists will need to arrive on Wednesday 27th February 2019 in time for an eveing meal and may leave the host school from 5:30pm on Sunday 3rd March 2019. Artist travel information is required by 18th January 2018. Overseas participants will fly into Singapore Changi (SIN) international airport. The journey from the airport to the hotel will take approximately 30 minutes. Artists are also responsible for ensuring they have the necessary visa to enter Singapore. The room rate for a single occupancy room is SGD $216.45 per night including 1 breakfast and all taxes. The room rate for a double occupancy room is SGD $235.40 per night including 2 breakfasts and all taxes. The room rate for a triple room is SGD $353.10 per night including 3 breakfasts and all taxes. The journey from the hotel to the school is approximately a 10-15 minute drive. Teachers/chaperones of homestay students and ISTA artists will be transported by private bus daily provided by the host school. Visiting schools doing hotel stay and local schools will need to make their own daily transportation arrangements. Single rooms will be booked for visiting teachers and chaperones for 28th February 2019, 1st March and 2nd March 2019. Overseas students will either stay with host families or in the event hotel (as determined at the time of booking). There will be no charge for accommodation if part of the homestay option. Homestay housing will be offered for three nights from the 28th February 2019. Local students will travel daily. Overseas schools staying in the hotel will be required to make their own accommodation and travel arrangements. Single rooms will be booked for ISTA artists for 4 nights from the 27th, 28th February and 1st, 2nd March 2019. An additional night will be booked for the Rep who will arrive on the 26th February 2019. Breakfast – for visiting teachers and overseas particpants (hotel stay) provided at the hotel, for overseas visiting students (homestay) with their host families; for local students at home. Lunches daily provided by the host school (Friday/Saturday/Sunday). Dinner provided on one evening of the festival for all participants. The other evenings will be at host families (overseas homestay students) or at home (local students). Overseas schools staying at the hotel will need to organise any of their own meals that are not included as part of the event. Finishes on Sunday 03 March at 17:00 .